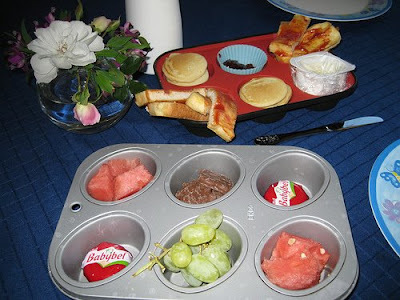 Next week, Amanda from Kiddio will be hosting Muffin Tin Monday! Click on over, check her out and say hello! 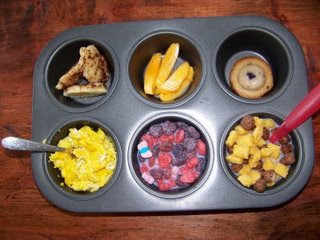 Are you new to Muffin Tin Monday? Thanks for joining us in our weekly madness . Click here for the details. Feel free to leave me a link to your MT post in a comment (or email) I accept them ALL WEEK not just on Mondays. 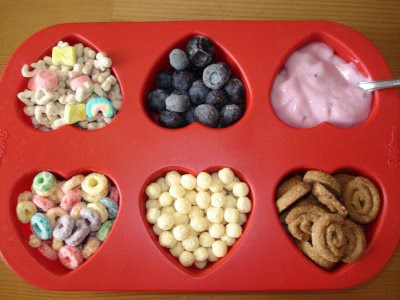 What a great idea for mtm! We haven't done the breakfast one 'cause we were gone all weekend. But I wanted to stop by and say thank you for the fabulous hairbands! They arrived today, perfect timing 'cause I got a new haircut that is definitely a "use a hairband" style. Thank you so much! 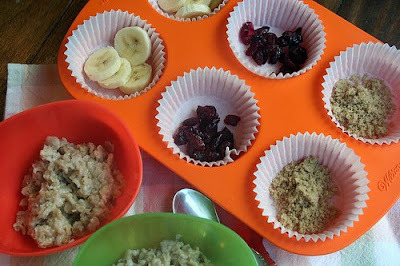 Love the oatmeal topping idea!! My kids are the same with oatmeal, some days LOVE it and some days don't eat a bite! 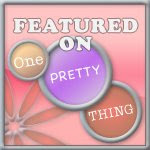 I am getting my post up now!!! 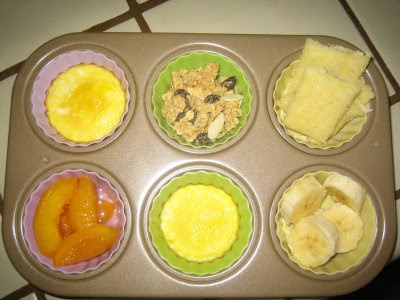 Robbie loved his breakfast muffin tin when I made it late last week! 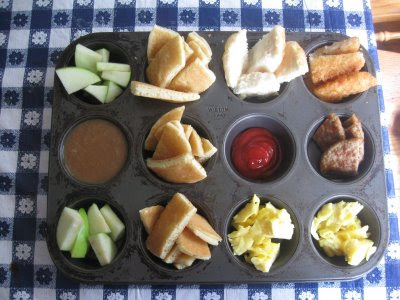 I love this idea so much I blogged about it too! This was lots of fun~! 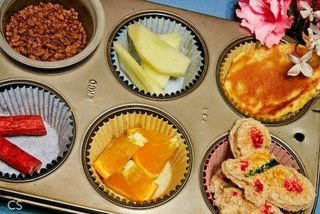 Our breakfast themed muffin tins are up! Not too fancy but here it is! Hopefully next week I'll get myself together enough! How fun, I can't wait to host next week! Wheeee! 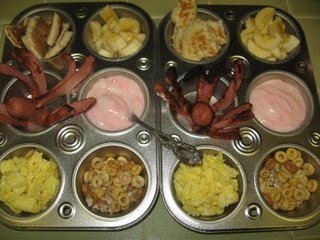 My toddler loved breakfast for LUNCH! Love the idea. 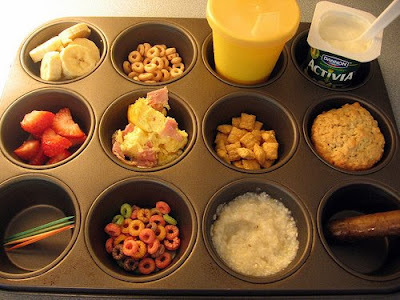 My children are not picky eaters but I know my daughter that loves Tea parties will make this into muffin tin Parties. I am going to try it. :) Great job!